For holistic and integrated development to succeed, everyone needs to pitch in, and everyone's pitch counts. Whether it's $25 for a pair of chickens or $100 for a sewing machine - each contribution is an integral piece of the vibrant mosaic of a thriving community. Consider, for example, the communities of Mymensingh and Char Borobila, Bangladesh. Over the course of six months this past year, each community has made huge strides in their development plan. These dramatic advances are only possible because of the individual gifts thoughtfully contributed to support our global neighbours. Discover how your gift fits into the overarching picture of sustainable development in these two villages. There are 325 students enrolled in the Child Sponsorship program in Mymensingh. Due to an environment of systemic poverty, parents are often unable to pay mandatory school fees, so many students are prevented from advancing in their education. For this reason, FH Bangladesh provided the fees for 28 college and high school students this past year. The School Fees item in the Gift Guide, priced at just $50, directly supports these educational efforts. It’s one small tile in the vast mosaic of a thriving community. 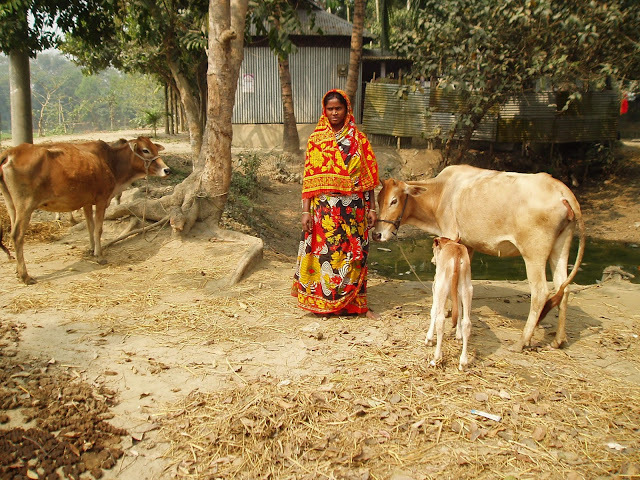 In Mymensingh alone, there are 61 Savings Groups empowering 1,094 members. The money pooled by participants is being loaned out to group members for investing in small business, land cultivation, meeting critical family needs like medical treatment, improving sanitation by building proper latrines, and digging wells for access to clean water. The Accounting Kit that provides the start-up for each Savings Group costs a mere $35 dollars in the Gift Guide. It’s one small tile in the vast mosaic of a thriving community. In Char Borobila, 15 Savings Group participants received sewing training. Those 15 families are now able to clothe their children and earn money to supplement household income, making it possible to eat more nutritious food, pay children’s school fees, and save for the future. One Sewing Machine including sewing lessons is only $100 dollars in the FH Gift Guide. Other members of the community received livestock care training (supported by the purchase of any animal, like a $75 Goat or $120 Dairy Cow), and help with tackling local agricultural issues (included with the purchase of $25 Fruit and Veggie Seeds and $45 Gardening Tools). Community health education is critical to eliminating deadly maladies like diarrhea, worms, scabies, and malnutrition. To this effect, FH staff host weekly group meetings where community members are taught about basic health practices and proper hygiene. Families learn that something as simple as hand washing can literally save lives. Hand washing is made possible in many communities by the instillation of Faucets. To further combat daily health risks, the community of Mymensingh successfully installed 38 Sanitary Toilets and dug 47 Water Wells. Maternal health has also come to the forefront of discussions in the community, making sending Maternity Beds to health centres in poorer areas a major act of love. Each of these items that helps deliver health care is a critical tile in the vast mosaic of a thriving community. To start training up the next generation, 206 Tree Saplings were distributed to children in living in Mymensingh. This effort will help combat soil erosion and degradation, while, at the same time, instill the value of environmental care in young children. One major challenge facing the children in the community is preventing child marriages. To raise the age that girls get married, FH staff and community leaders encourage parents to keep their girls in school until they are able to graduate. One $65 "Send a Girl to School" donation helps pay for a girl's school fees, provides her with a uniform and school supplies, and counsels her parents on the many benefits of a girl's education. Girl Power is one small tile in the vast mosaic of a thriving community. To tackle "big issues" like education, livelihood, health, and leadership training, we need to break them down into their component parts and provide the individual elements necessary for the success of the whole. 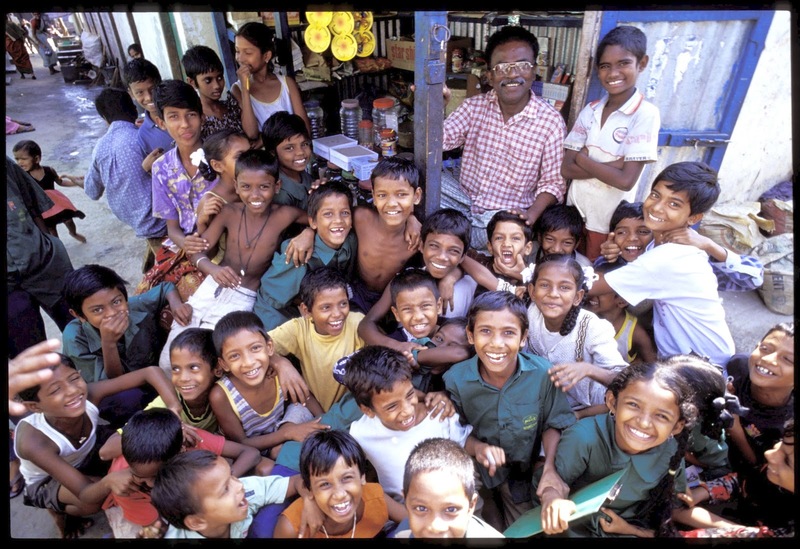 For example, you don't just "provide education", you give uniforms and school supplies to students; you offer parents information about the benefits of education and equip them to meet their children's needs; you encourage teachers, coordinate lunch programs, and bring electricity and water to school buildings. One item at a time, you contribute the practical elements necessary for the big picture to emerge. And each contribution is an integral piece, a vibrant tile, in the vast mosaic of a thriving community.